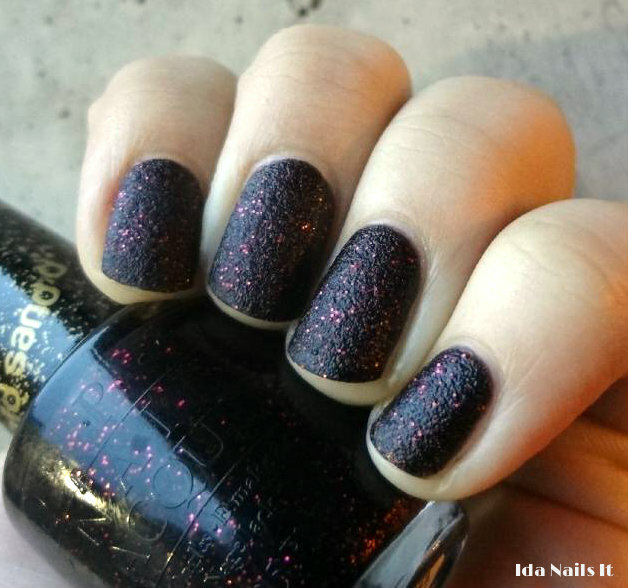 Stay the Night is a part of the OPI's Mariah Carey collection, specifically, it's one of the Liquid Sand polishes included in that collection. When I first saw promo shots of this collection, I wasn't sure if I would want the Liquid Sand polishes. 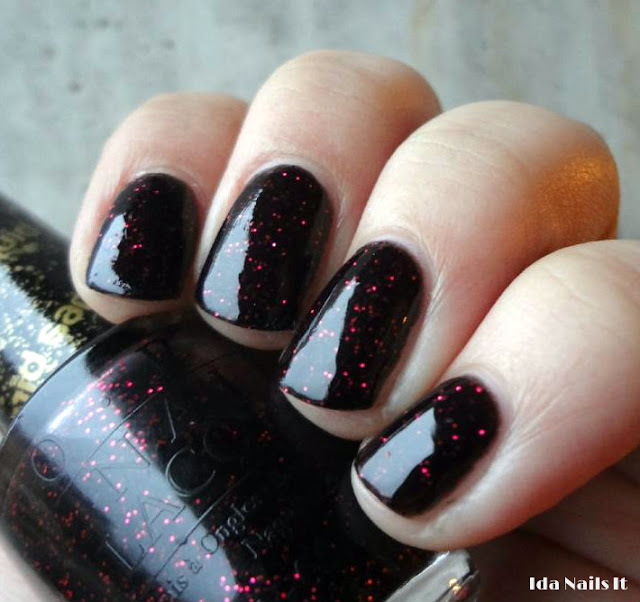 Normally, if I have a polish that is gritty, I need to apply enough top coat so that it has a nice glossy finish. 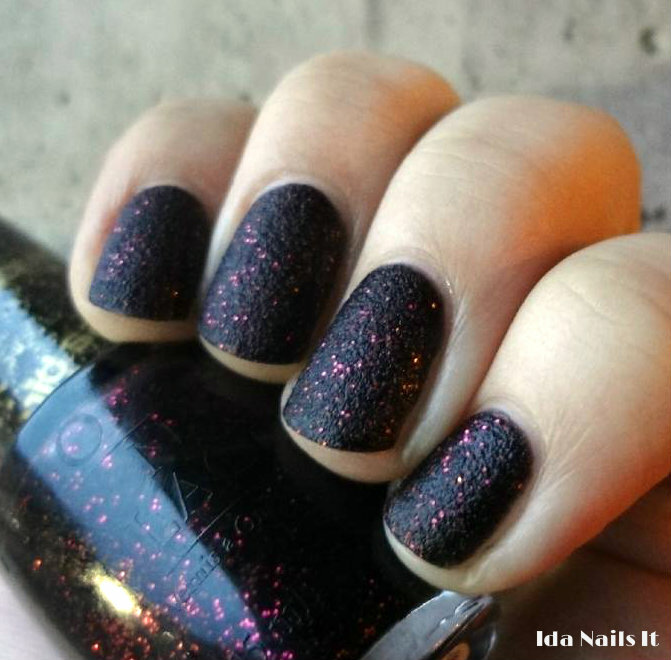 With Stay the Night, the color is perfect, that blackened plum is really interesting with the rough texture and then after applying top coat, the color just glows. I am not sure if the other Liquid Sand color would appeal to me as much but if I could see this finish in something similar, like a blackened emerald or a multi-color glitter, that would be awesome. Application is very easy, I used three coats for full coverage. Dry time is was okay, not too fast but not any slower either. 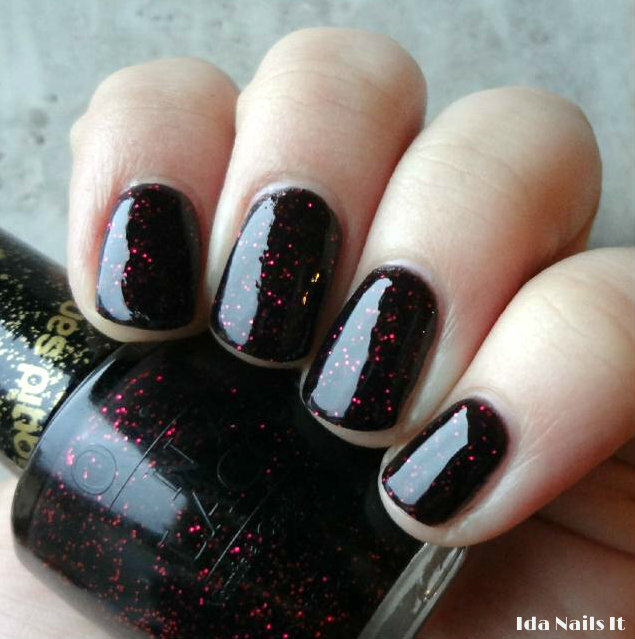 Stay the Night can be found online at various etailers, and in stores at Ulta, JCP Salons, and wherever else OPI is sold. I bought the mini pack of the four liquid sands, and this one is my favorite, it's lovely both with and without topcoat!